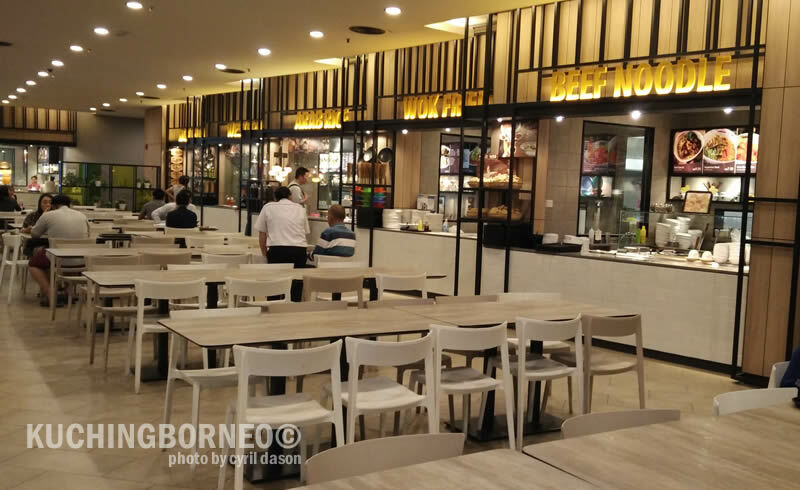 There’s plenty of food courts in malls around Kuching City, but none can compare with what The Spring Mall has to offer at its food court, despite newer malls slowly popping up around the city. 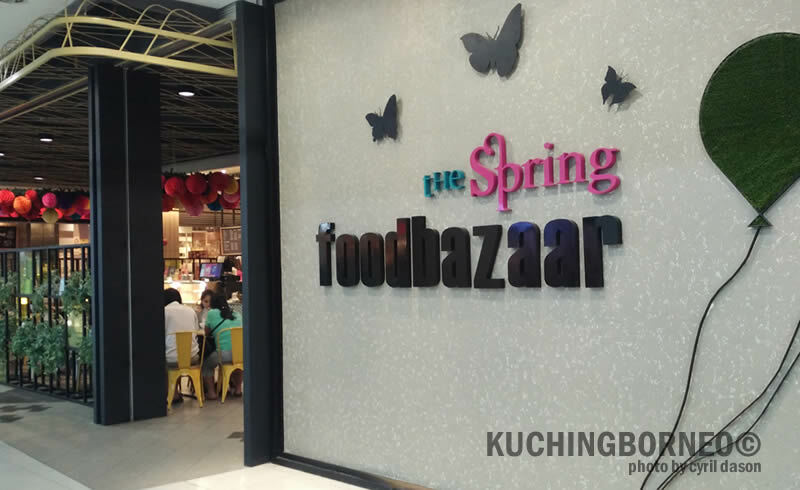 Known as ‘the Spring FoodBazaar’, the food court which is managed by the Spring Mall opened in 2008 (if I am not mistaken), and has undergone major renovations in 2014, changing its layout and location to what and where it is today. A food court usually comes with numerous food stalls, and lots of tables and chairs to maximize seating. 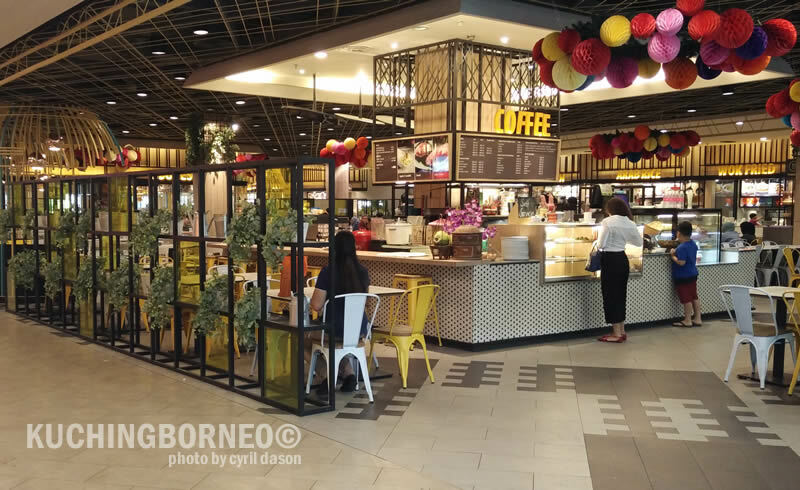 The FoodBazaar however puts the term ‘food court’ into a whole new level as the designers of the space opted to make it look more ‘open’. Compared to some other food courts, the FoodBazaar is well lit with light vibrant colours making it look very inviting and open. Food stalls are also arranged in such a way that you can easily spot stalls and dish available. 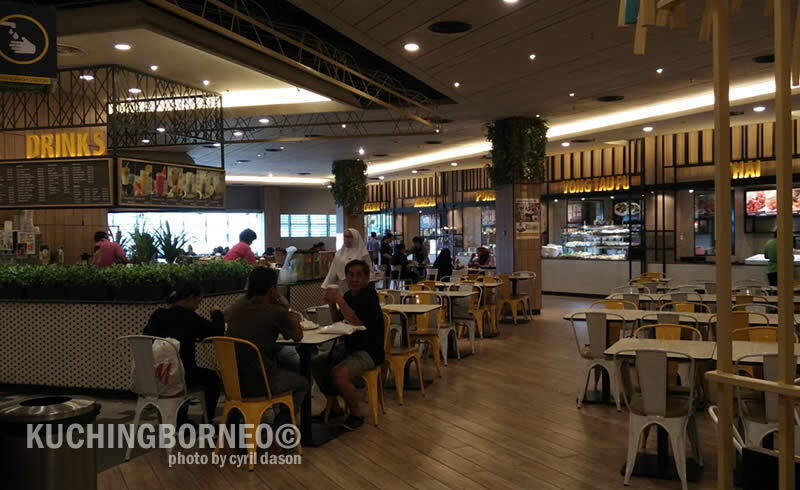 There’s also different types of seating apart from what you normally find in a typical South East Asian shopping mall food court. At the FoodBazaar, there’s this ever popular ‘bird cage’ like seating area (which I had never sat on because it’s always occupied), an outdoor seating area and of course numerous different types of tables and chairs meant for customers. Decorations at some places also go until the ceiling, giving customers such as myself, a feeling that I am in a park, or party. – Maybe this is just me, but you get what I mean. The variety of food sold at the FoodBazaar is what I call healthy because they don’t compete with each other, at least in terms of selections. Almost every popular dish one would want for lunch and dinner is available here (exception for pork since it’s a halal establishment), with the Nasi Ayam, Laksa Sarawak, Hot Plate and Beef Noodles being my personal favourite orders. 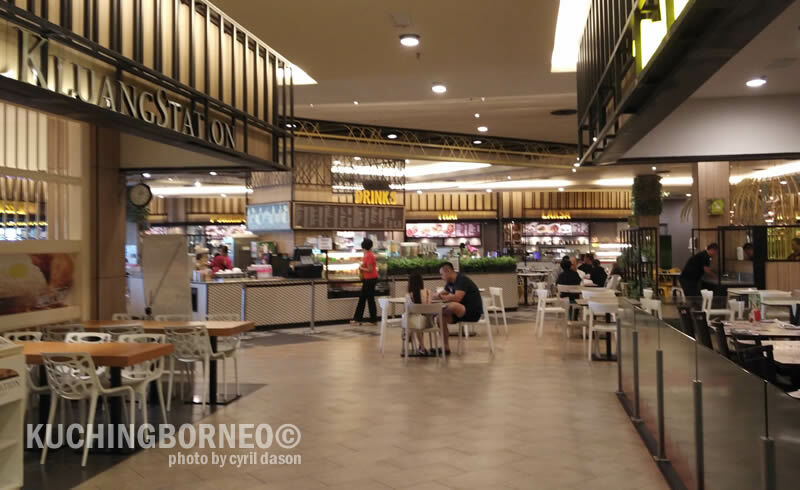 Prices of the food at the FoodBazaar can however be slightly more expensive if compared to road side cafes and eateries, but it’s a food court in a mall where you get air-cond, so there’s really not much to complaint about. 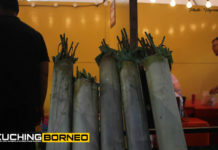 If you are looking for Dayak food however, it is unavailable here, but do check out places you can eat Dayak food in Kuching here. I’m not sure if this counts for making the FoodBazaar my top choice food court in a mall, but the ‘clean table’ turnover rate here is really good, even more during peak hours, as in lunch and dinner hour. What I mean here is that the number of clean tables at the FoodBazaar is high, and this as I observed, is due to the efficiency of the cleaners who clean up almost immediately after a customer leaves, and they do so with a smile, which is kind of rare for those doing such a job. 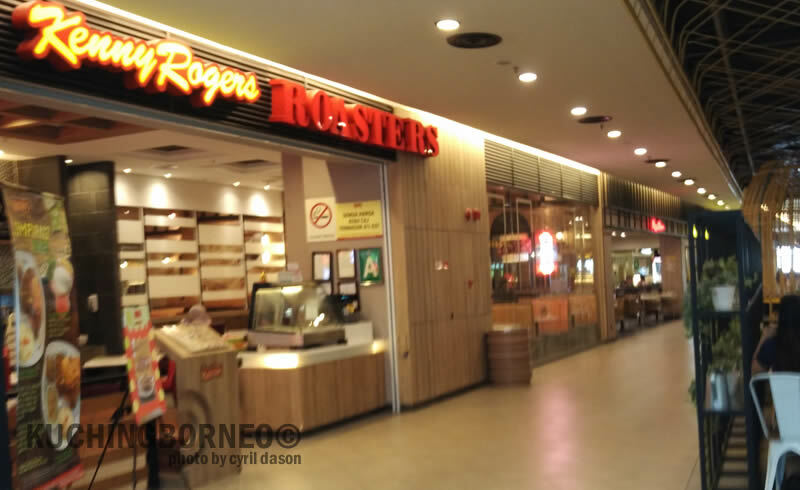 One feature I like most about the FoodBazaar is the fact that it is opposite (or rather combined with) four famous food restaurants; namely Kluang Station, Kenny Rogers Roasters, SugarBun and the Manhattan Fish Market. This means I have the option to easily order from these restaurants, and bring my meals over to my friends who are eating at the FoodBazaar as the distance is simply just a few steps away. No more splitting up when I don’t share the same menu with friends, as we can all share a table since it’s so close! 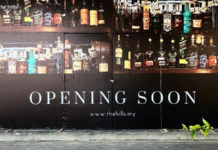 If you want to use one of those ride sharing services available in Kuching City such as Grab and Uber, then locating tHe Sping Mall isn’t difficult as you just need to find the Spring mall in your app map. Else, you could just tell your cab driver to go to tHe Spring Mall and he’d know the place, since the mall is very popular and prominent in the city. If however you choose to walk, then here’s the map to tHe Spring. More details on the Spring mall can be read here. 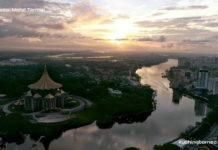 Kuching is home to the several impressive national parks such as the Bako National Park, and Gunung Gading National Park. Known also as the Cat City, Kuching is also home to the well mentioned ‘breakfast of the Gods’ known as Laksa Sarawak, with major hotel chains offered at amazing rates by Booking.com year round. 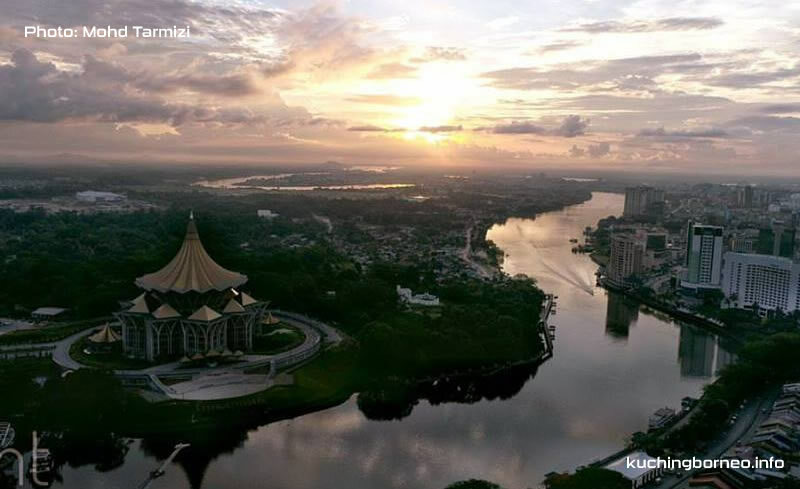 Kuching City from the sky. Lovely and modern. If you have a chance to visit Kuching, it is best to come from May to September as there’s a line-up of numerous festivals like the annual Gawai Dayak, Kuching Festival and of course, the world famous Rainforest World Music Festival (RWMF), just to name a few. Other dates are also good, but November til February can be pretty wet.